This hands-on intensive is for consultants and facilitators who need to design and lead organizational and social change processes. 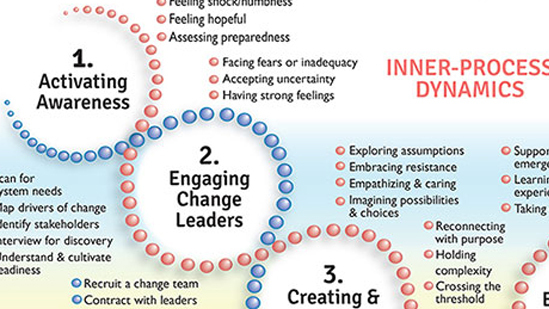 David and I will share new work from our new book, Visual Consulting: Designing and Leading Change. This hands-on intensive is for consultants and facilitators who need to design and lead organizational and social change processes. David and I will share new work from our forthcoming book, Visual Consulting: Designing and Leading Change. Building on what traditional peoples have known for a long time, this day-long workshop explores the inner process dynamics and how to set up the outer support structures needed to experience transformational change in your personal life, groups or organizational settings. This is a pre-Leadership Festival 2018 offering. This hands-on intensive is for consultants and facilitators who need to design and lead organizational processes. David and I will share new work from our forthcoming book, Visual Consulting: Designing and Leading Change. During this five-day conference we will explore together how leading can be practiced with a sense of the sacred–through mutual sensemaking, supporting crucibles of transformation, and envisioning wise action in challenging times. 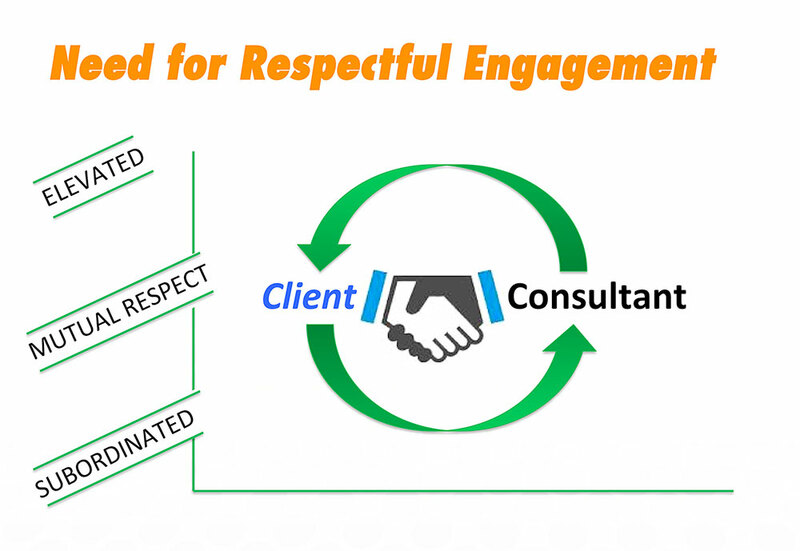 At a recent Organization Development Network annual conference, David Sibbet and I led a workshop on Respectful Engagement: Revisiting Process Consulting (see the Respectful Engagement Framework.) With over 120 participants joining, we explored what we can do as consultants to set up collaborative and mutually empowering relationships with our clients, even when inadvertently being caught up in dynamics of elevation or subordination. We gave special attention to the challenges and opportunities of partnering with clients and their stakeholders: across significant cultural difference; across industries, nationalities and ethnicities; and when social inequities play a significant role. 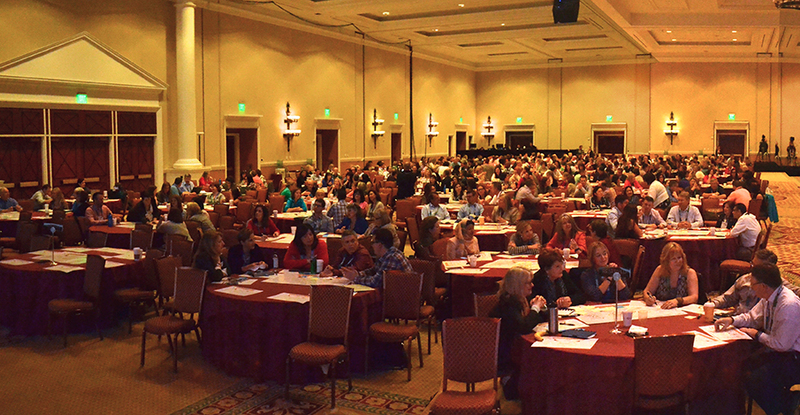 The Association of Change Management Professionals invited David Sibbet and me to lead 800-plus conference participants in a keynote community conversation about how to talk about change management with clients. The goal was to draw out of the professional community simple, effective and non-jargony ways of communicating about their work. In a highly interactive session, we invited participants at their tables to participate in three rounds of conversations, each followed by town-hall-style sharing in the large group. Table conversations were supported by visual tools to capture the ideas: a table template, markers and sticky notes. The first conversation served to bring forward the history of change management. The second focused on the drivers and resistors to the growing use of change management practices. The third conversation creatively explored ways to talk about change management to make the idea more approachable and easily understandable to clients and organizational leaders. Participants looked at change management metaphorically, asking each other the question “Change management is like a ….” The answers were shared in a town-hall format that was recorded on a computer tablet, amidst a great deal of laughter and useful insight. The keynote community conversation was one of the highlights of the conference. It created a lively and valuable exchange among participants and introduced them to creative ways to use visual tools to support dialogue. The Psychology of Liminality is a course I offer through Meridian University, California. As a graduate university, the goal of Meridian is to support its students and graduates to make significant contribution to—and help reinvent the professions of—psychology, business, and transformative leadership. My course offers a multifaceted exploration of the structure and process of initiatory and transformational experiences through the perspective of a rites-of-passages framework. It focuses on how people navigate the liminal phase of change, betwixt and between, where one is no longer the old and not yet the new. 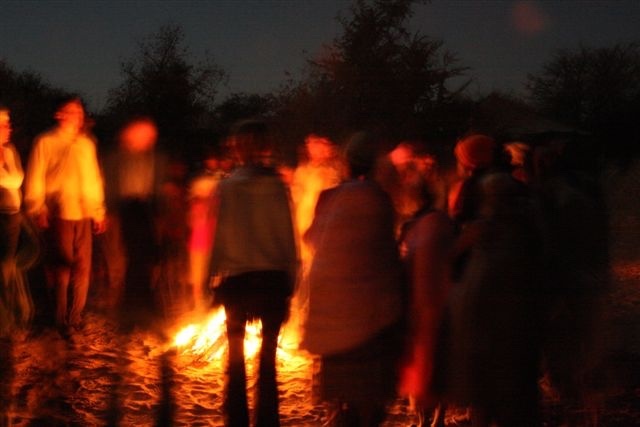 Topics range from rites of passages in indigenous cultures where they first were observed, to re-conceptualization the rites of passages framework for experiences of complex change in contemporary Western cultural settings. This course shines light on the challenges of translating observations, knowledge and insights from indigenous traditions to Western academic contexts. It examines the competencies that are needed for stewards of liminal process to cultivate and harvest the vital forces of change. As part of the course, students apply the rites-of-passage framework to one of their own experiences of change. They also have the opportunity to design a ritual activity for another person to support significant forward movement with the particular change they are in. Students consider the competencies and authority they need to move toward becoming masters of liminal processes. 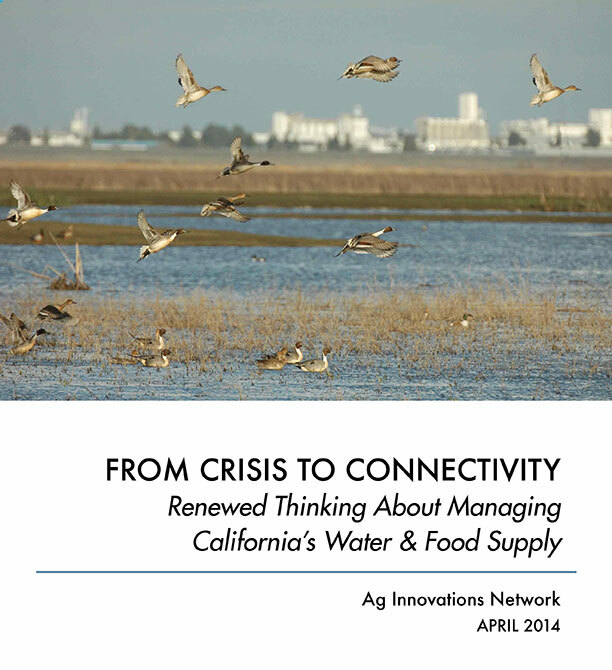 The California Roundtable on Water & Food Supply (CRWFS) is a consensus-based, “off-the-record” forum convened to uncover obstacles, identify solutions, and take action to enhance water security for agriculture, the public and the environment. Participants share a dedication to a healthy and balanced future for California. Each member brings deep experience on issues at the intersection of water supply and agriculture. They represent stakeholders from across the spectrum, coming together in dialogue to uncover the wisdom and ideas needed to develop strong, new approaches to water management in California. The Roundtable’s annual reports summarize their shared insights and recommendations and have considerable impact because of the Roundable’s consensus-oriented way of working. I was invited to facilitate the Roundtable while working at Ag Innovations, and I guided the Roundtable’s collaborative publications for two years. 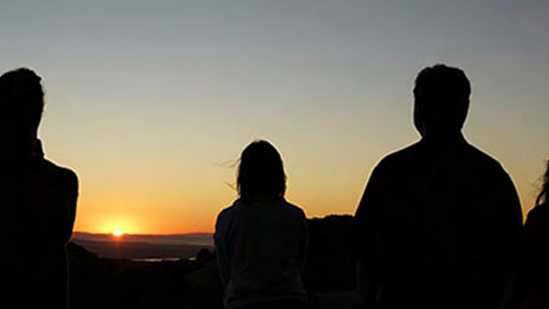 During the first year, recommendations were developed for helping California to shift toward a Connectivity Approach. Guiding principles were identified in three areas: connected thinking, linking institutions, and public and stakeholder engagement. Their idea of working toward “Connected Benefits” for all stakeholders instead of traditional sectorial interests was a paradigm-shaping way to think about systemic solutions. The following year the CRWFS applied the Connectivity Approach to new groundwater legislation and specific water management opportunities at Kings Canyon. As part of this exploration, the Roundtable considered how sustainable water management, including groundwater management, has to involve the whole hydrologic cycle. That year I facilitated their report on the application of the Connectivity Approach to the Kings Canyon case. The Environmental Defense Fund (EDF) retained The Grove to collaboratively develop a visual Storymap™ and storybook illustrating the vision, principles, and benefits of a new Central Valley Habitat Exchange concept. They sought to involve key stakeholders from the California Department of Fish & Wildlife, U.S. Fish and Wildlife Service, and various other environmental agencies, organization and non-profits through a series of workshops held to generate the map, while simultaneously building bridges of understanding among these organizations. David Sibbet and I partnered to support EDF in creating a welcoming and generative environment for a careful dialogue with its stakeholders about the challenges and opportunities of developing a new habitat restoration tool. By combining dialogue with visual facilitation, we supported everyone to grapple productively with the complex issues involved in partnering across agencies, mindsets, regulations and the real challenges of designing and implementing new environmental solutions. EDF is now moving toward the institutionalization of the Central Valley Habitat Exchange. 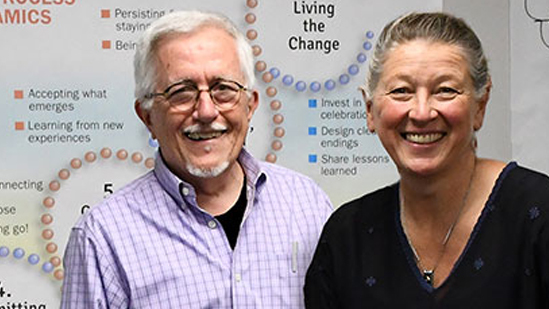 The College of Business Administration at Cal Poly Pomona engaged me and Laurie Durnell, The Grove’s co-president, to facilitate faculty and staff in creating a new vision for their school. The timing was ripe for a major renewal process. The new dean of this college with six departments and more than 5,000 students was looking for support to help the college to move beyond a culture of silos, update several administrative processes, and address what seemed to be a lack of opportunities for innovation. He was also interested in activating organization-wide support for a new organizational vision and strategic initiatives to support this change, through high engagement processes and inviting a generative dialogue across the college. Beyond this, the college was getting ready to celebrate its 50th anniversary and was shifting from a quarter-based system to a two-semester-based structure. 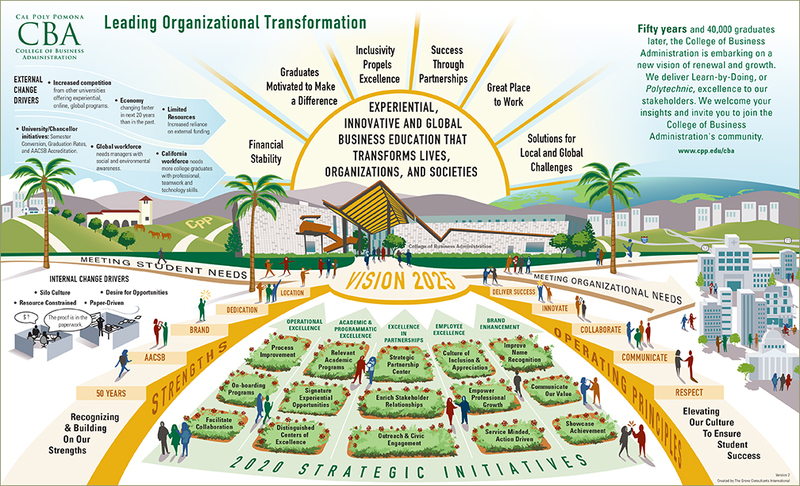 The mural shown here illustrates the vision, strategic initiatives, and operating principles, agreed upon in a series of full engagement meetings co-designed with a smaller design team. Eventually design team members paired up to take on responsibility for the implementation of the college-wide strategic initiatives. Soon after the project was completed, the dean used the vision map to raise several million dollars funding for the Center for Innovative Analytics. This case represents how attention to integrating change methodology, dialogic practice, and visual facilitation can combine to achieve a successful result, symbolized by the completed Grove Storymap®. The leaders involved in this project experienced new ways of thinking and working together that foreshadowed the kind of collaborative activities across departments, as well as with industry partners, that they anticipate will be needed for their college to truly thrive as an experiential, innovative and global educational institution in the future. Driven by economics and demand, the University of California’s newest campus in Merced is expected to double in size by 2020. No fewer than 72 change projects faced Michael Reese, vice chancellor of Business Administration, in 2016 when he engaged David Sibbet and me to facilitate a campus-wide 2020 Visioning and Change Alignment Process. The process we designed combined our expertise in highly participatory and large-scale strategic-change consulting, visual facilitation, Grove Storymapping®, and interactive-network technology in a series of large summit meetings with faculty, staff and students. The overall process meetings were co-designed with a Change Alignment Team (CAT) of top project managers led by Reese and the former dean of the School of Engineering, Erik Roland. At Chancellor Dorothy Leland’s request, the summit meetings streamed real-time to students, staff and faculty who couldn’t attend the face-to-face meetings. An interactive platform provided by Grove partner Covision allowed virtual and in-person table groups to share the same visioning, goal-setting, and insight-sharing activities. The development of the large Storymap® provided a focus for the project, as it went through version after version following meetings with the Chancellor and Provost, as well as the CAT, Cabinet, and Summit meetings. The new campus plan is shown under a spiral of visions that represent an aligned aspiration. The projects, prioritized for 2017, move through agreed-on criteria illustrated on the giant Beginnings sculpture and flow across Scholar’s Bridge. New students walk through the sculpture as they begin their studies, and they cross Scholars Bridge when they graduate. The level of engagement, agreement and momentum that was achieved has kept the Vision & Change Alignment map alive as a focusing tool for leadership, and it continues to guide construction and all related organizational changes as the University moves forward with the change process. The Metropolitan Council in the Twin Cities of Minnesota engaged The Grove to co-lead a year-long, cohort-style learning program for 20 of their employees from the Environmental Services, Transit, Community Development and Housing Divisions. The objective for participants was to gain the process leadership skills needed to facilitate and guide organizational and systemic change processes. Building on our three-day Designing & Leading Change Intensive, David Sibbet and I designed and co-led this program. Our approach used experiential and hands-on action learning methods to prepare participants with the practical skills, conceptual knowledge, and personal and leadership development needed to guide change. The learning format combined six in-person, three-day-long sessions with virtual learning support through self-paced learning activities and video-conferencing with project teams. The central learning activity of the program was the use of action research projects focused on change initiatives within participants’ agency and region. During in-person cohort sessions and virtual self-paced learning modules, change project teams prepared to move through each step of their change process. Regular project status reports by the teams provided opportunities for us to do hands-on coaching. Before and during the program, we worked closely with organizational leaders to align competency development and the work of project teams with the goals of the organization and the specific divisions. Upon program completion, the council provided structures to carry forward the work of the project teams and deepen skill development by setting up communities of practice. Participants were able to receive a certificate of completion with or without academic credit from Meridian University, one of The Grove’s partner organizations. Many of the participants reported that the Leading Change Program was the richest professional development experience they have participated in so far.